It is quite amazing that, despite surprises not being at a premium in the results of ties in the fourth season of the Premier Badminton League (PBL-4), the same old suspects have been at the forefront. At the end of the fourth stage of the 23-day league, after the nine teams in the fray had completed their respective assignments in Mumbai, Hyderabad, Pune and Ahmedabad, it was last year’s winners, Hyderabad Hunters, and runners-up, Mumbai Rockets, who stood out from the field, and ensured their berths in the play-off semi-finals even before playing their sixth and last individual league ties. The Hunters were firmly in front, with 21 points from five ties, including 14 wins, six losses, four trump victories and a solitary trump defeat (the teams get two points for a trump victory, while one point is deducted from their kitty for a trump loss). The Rockets were in second place with 19 points from their own five ties, inclusive of 12 wins, eight losses, four trump victories and one trump loss. And yet, if one considers the phenomenally good luck that Hyderabad had in their last tie against the Ahmedabad Smash Masters in the latter’s own den at The Arena by TransStadia, when they notched up a narrow 4-3 victory, winning two matches that went to the golden point in the deciding games, it can be seen that there was nothing to choose between the two teams. 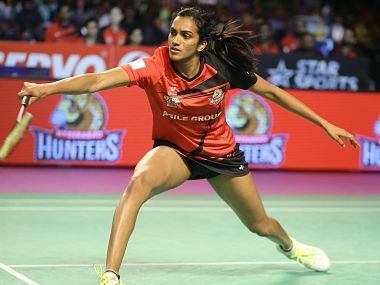 Hyderabad captain PV Sindhu pipped Ahmedabad’s Scottish import, Kirsty Gilmour, at 15-14 in the decider of what was the trump match for her side. Had the battling Gilmour handed Sindhu her third defeat in five matches in this year’s league, the tie score at the end of the fourth match would have read 4-0 in Ahmedabad’s favour, instead of being deadlocked at 3-3. And then, in the final engagement of the day, Thailand’s Bodin Issara and Korean Kim Sa Rang, playing for Hyderabad, had the tremendous good fortune of edging out Ahmedabad’s Satwiksairaj Rankireddy and Lee Chun Hei Reginald at 15-14 in their third game. Had both the last two ties gone Ahmedabad’s way, they would have scored a 5-0 triumph, instead of being left licking their wounds after a 3-4 result. That could have made a huge difference on the points table, since Hyderabad would have been sporting 12 wins, eight losses, three trump wins, two trump defeats, for a final tally of 16 (and not 21). Ahmedabad, who finished their league engagements with 13 points from six ties, and are now virtually out of the reckoning for the play-off semi-finals, could have had nine wins, 15 losses, four trump wins and two trump losses, for an aggregate of 15 points, and a slim chance of making the last four. In third place on the league table are the Carolina Marin led debutants Pune 7 Aces, who had made the worst possible start to their campaign by losing all their matches in a (-1)-6 hammering at Hyderabad’s hands in the very first match of this year’s league, at The NSCI Dome in Mumbai. The wafer-thin losses suffered by the three-time world champion Marin against Sindhu, and by Lakshya Sen against Dutchman Mark Caljouw, in conditions that were not good for quality badminton, had cost Pune dear. At the time, this correspondent had expressed the opinion that, despite their disastrous debut, the newcomers would remain in contention for the semi-finals. And so it has happened, although Pune, having completed their six league engagements with 17 points, are forced to await the results of the remaining clashes, being played at the Sree Kanteerava Indoor Stadium in Bengaluru over the next four days. There is a better than even chance that Pune will be overtaken by any two amongst three sides who have all played four matches thus far – Awadhe Warriors (16 points), Bengaluru Raptors (13 points) and Chennai Smashers (10 points). The Lucknow side, which is the only team in the league to not lose a single trump match, will play against Chennai Smashers and North Eastern Warriors, while the Bengaluru team has matches in hand against Mumbai Rockets and Chennai Smashers in its own den. The other side, apart from Ahmedabad Smash Masters, that is out of the reckoning for a semi-final berth by the end of the Ahmedabad stage of the league is Delhi Dashers, who languish in the cellar with a mere two points, and just one tie to play. Delhi have been poorly served by their main singles player and icon, HS Prannoy, and their women’s singles representative, Evgeniya Kosetskaya, has been equally unimpressive. 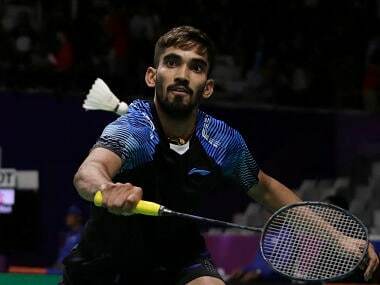 Even the form of their second men’s singles player, Tommy Sugiarto of Indonesia, purchased in the auctions for a steep Rs 70 lakhs, has been patchy, at best. In the extremely unlikely event of the Dashers taking all five matches in their final clash against Hyderabad, and even breaking the opponents’ trump, they cannot make double figures on the points table, and so, have to bite the bullet. Mumbai, it must be stressed, have been kept afloat by the sterling contribution of their No 1 singles player, Sameer Verma, who remains the only unbeaten male singles player in the league. While Hyderabad’s Mark Caljouw suffered his first defeat of the competition at the hands of Ahmedabad’s 2017 world champion from Denmark, Viktor Axelsen, the confident Verma pulled off his fifth triumph in the league, at the expense of recently married Parupalli Kashyap, representing Chennai Smashers. Axelsen, who had suffered two defeats in the league due to the indifferent condition of his ankle, finally got his act together to knock out Caljouw, though it was by no means a walk in the park. Caljouw’s energetic, all-action style troubled the equally aggressive Axelsen, but the towering Dane used his superior experience to subdue the Dutchman in the closing reaches of a highly entertaining encounter. Among the women, South Korea’s Sung Ji Hyun, the icon player for Chennai Smashers, continued her all-conquering run in the league, taking World Tour finals winner Sindhu and Olympic gold medallist Carolina Marin in her stride for her third and fourth consecutive wins. While Sung will be odds-on favourite to beat Vietnamese Vu Thi Trang in the match against Bengaluru, her match against Awadhe Warriors’ American import, Beiwen Zhang, on Monday, 7 January, will be eagerly watched to determine whether any female singles player in PBL-4 can end the league undefeated.